I love making a simple Indian omelette and my dinner guests who stayed with us for the night, last Friday, had to be fed a hearty breakfast before they set out to go home. Like my aai I am obsessed with feeding people and cannot imagine sending off guests on an empty stomach. Luckily, now that I am part of the Happy Eggs Taste 100 Blogger network a #happyeggtastemakers, I had 2 boxes of these lovely Happy eggs at home, red onion or the Mumbai pink onion which I buy from my fav Indian-Pakistani grocery store and loads of frozen coriander. 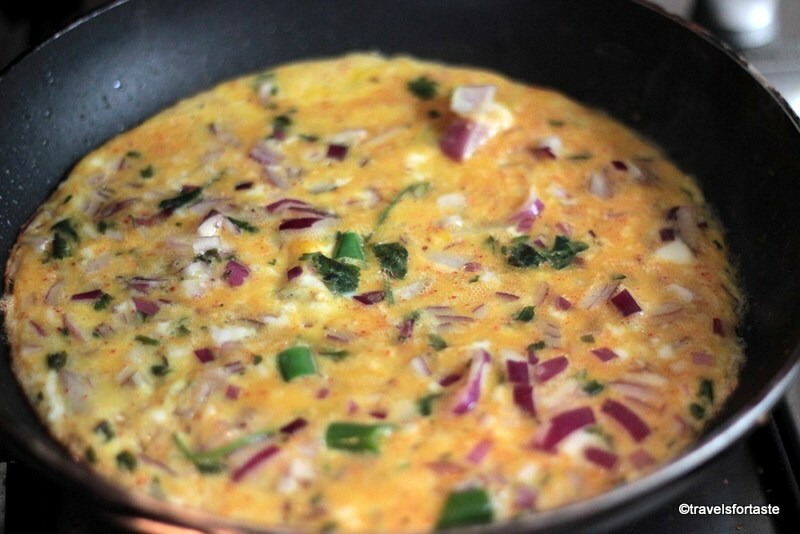 This is a very basic recipe for the Indian masala omelette- with a bit of twist , added in my me . I also love adding in cheese and bulking it up with ham or sausages which I did for my guests, but hubster is a purist of sorts when it comes to the masala omelettes (read fussy hehehe) and so made 2 huge omelettes , one using the recipe that follows and another with the cheese, sausages and Parma Ham – so… so… so… good !! 1 green chillies chopped into fairly large chunky pieces- easy to pick out for the faint hearted! 1.5 medium sized red onion. Adding the garam masala is something I like to do as it gives the omelette a fabulous amped up flavour but feel free to leave that out if you aren’t a fan. Chop the green chilli into fairly big pieces so they can be picked out by those that don’t want to chew on them. Crack the happy eggs into the bowl. Add in the chopped onions, green chilli chopped, red chilli powder, turmeric and salt. 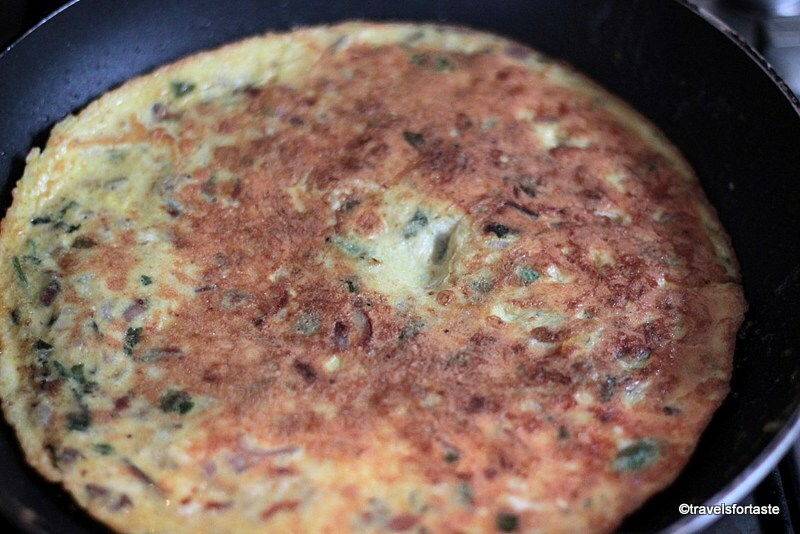 Whisk with a fork till the mixture foams and is well aerated , this will give you a beautifully ‘fluffy’ omelette . 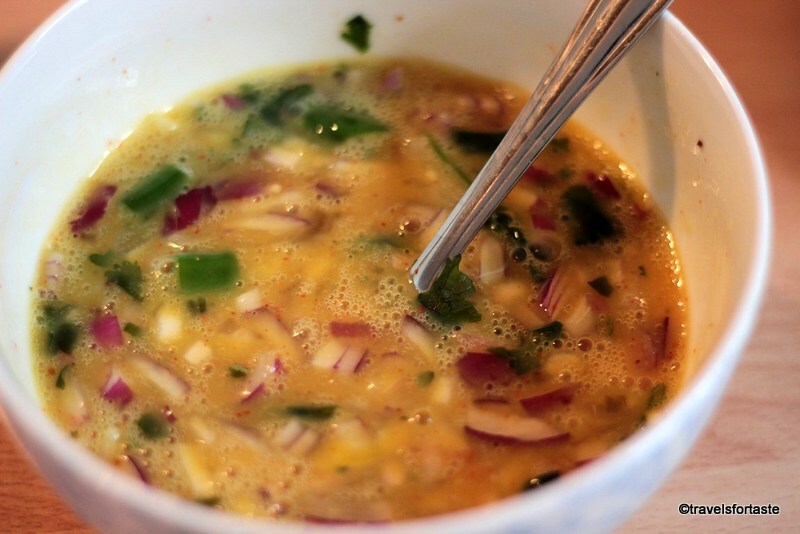 Then add the chopped coriander and mix again. I add in the turmeric as it has loads of health benefits – it has powerful anti-inflammatory effects and is a very strong antioxidant, and our guest who do not consume turmeric on a regular basis loved the idea. Now add in the cheese – torn roughly if it using a cheese single or crushed if using a soft cheese or crumbly cheese, sausages and Parma Ham.Lightly beat the egg mixture once more with a fork to mix well. Place a big pan on medium heat and when it begins to heat up melt the butter. 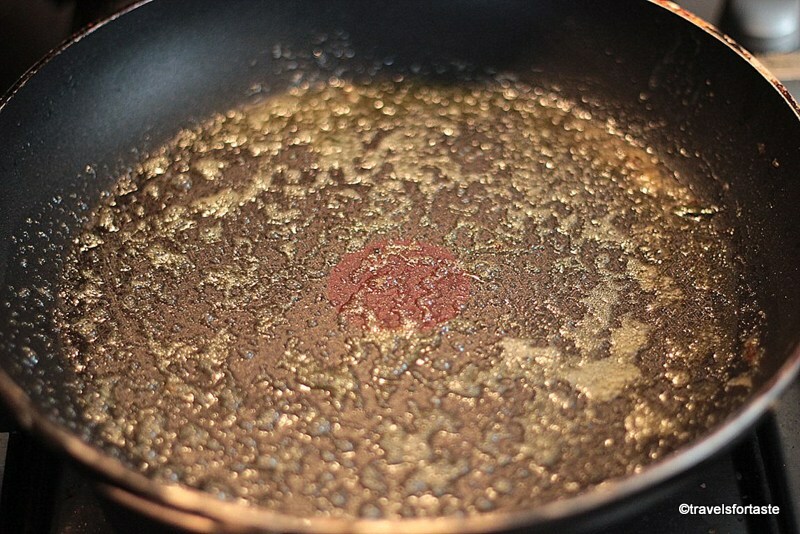 See the photo below – when the butter begins to sizzle and pan resembles what you see in the image then it’s the right time to add the egg mixture. Move the pan around so that the mixture spreads evenly and cook on a low flame for about 2 minutes . When the omelette leaves the sides of the pan ,slightly lift it with a wooden spatula and check , if it has browned it’s time to FLIP , you can tell by the aroma wafting around too. With a big wooden spatula gently flip over and cook on the other side, I place a lid over my pan at this stage to trap the steam and it also gives me a really fluffy omelette, of course it will fall flat if you don’t serve immediately. Once done, turn off the heat and cut in half using a wooden spatula. 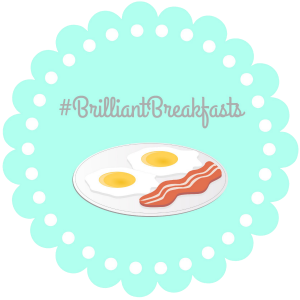 Fold and place in between hot buttered toast for a fabulous breakfast. 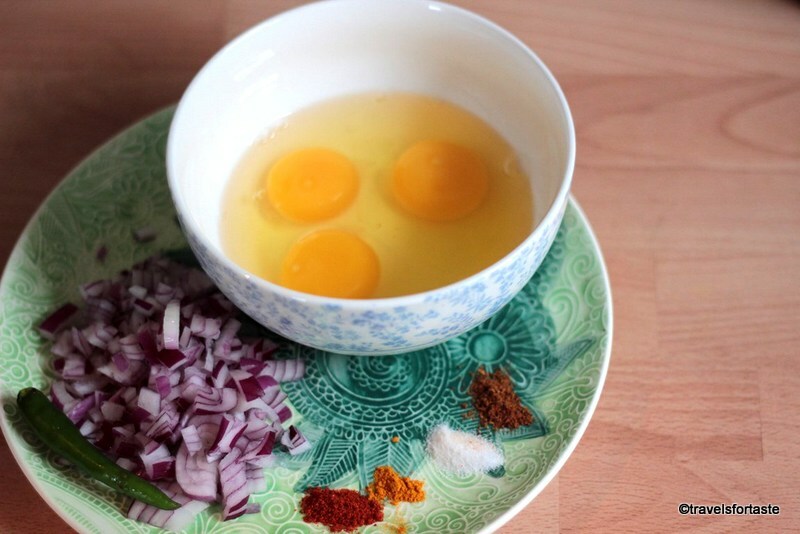 An Indian masala omelette, served at breakfast with hot buttered toast and hot cups of masala chai, I think is a breakfast fit for a king – Made better with Happy Eggs I say! 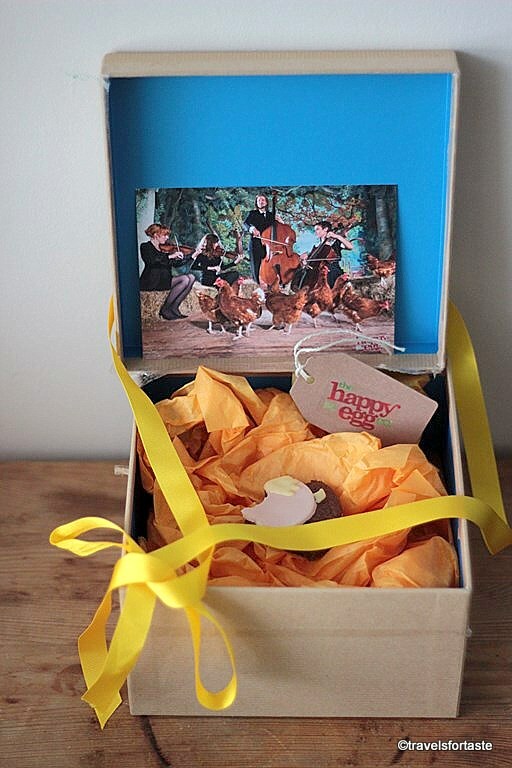 I am so egg-cited to be part Happy Eggs Taste 100 Blogger network, they sent me this beautifully packaged cute box with a massive chocolate cookie made using Happy Eggs and a lovely picture of the latest campaign – Top of The Flocks – where Happy Eggs produced an original album of classical music following a study by the University of Bristol looking at the positive benefits of music on hens.The results showed that Happy Hens prefer Bach to Beyonce – they have refined taste these hens! 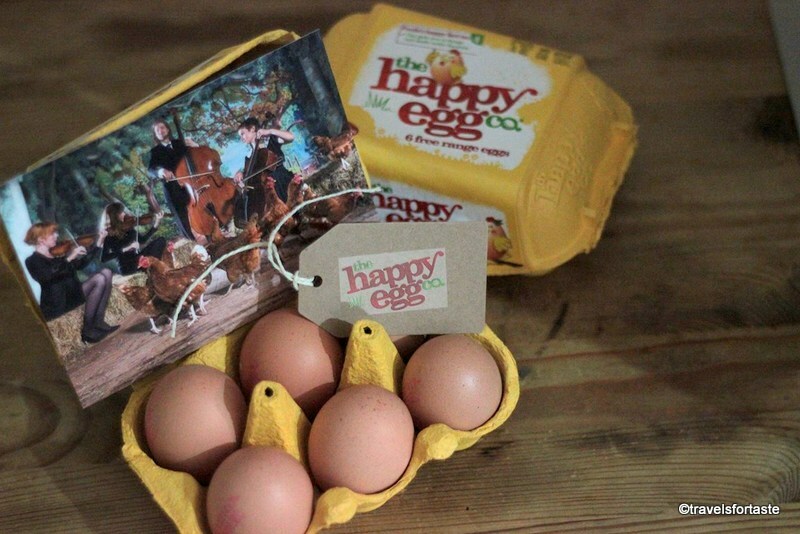 Happy Hens produced 6% more eggs in nest boxes playing classical music compared to pop! Awesome or what?! – always good to know where your eggs are coming from isn’t it?! Ahem… as you can that by the time I actually got around to taking a photo of the welcome kit , hubster and me had managed to devour most of the cookie …well , don’t blame us – it was soo yum! Well a new year and a new beginning and with tomorrow being the first day for getting back to work, I will be making us egg omlettes and devouring them with freshly ground coffee and buttery toast – after all Monday mornings are never kind especially in the winter and more so after a long break! 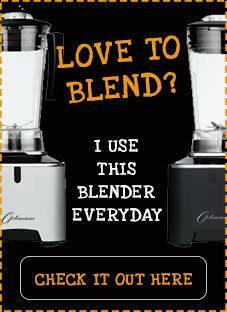 Make Ahead – perfect for a make ahead style breakfast, this mixture can store in the fridge very easily. Linking my savoury Indian Masala egg omelette recipe with the monthly link up at Belleau Kitchen for the Simply Eggcellent recipe link up – love the name! Also linking up with #BrilliantBreakfasts at Made with Pink blog by Andrea, for I think without doubt a masala omelette makes a darned good breakfast! 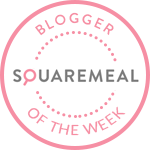 *With thanks to Happy Eggs for taking me on as part of their Exclusive Blogger Network and for a complimentary voucher sent with their cute welcome pack . No monetary compensation was offered for a positive review. As always all opinions expressed here are entirely my own.